My thanks to The Girly Book Club and Booktrib for sending me an ARC of this book in exchange for an honest review. All opinions are my own and are not influenced by the publisher. 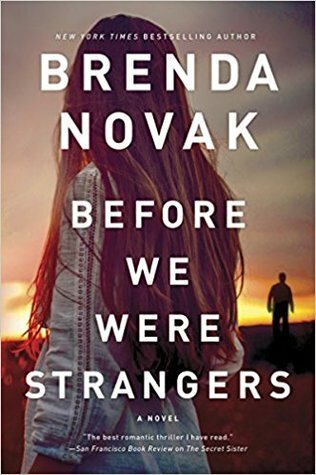 The concept behind Before We Were Strangers felt really promising to me, and I was excited to dig into it. 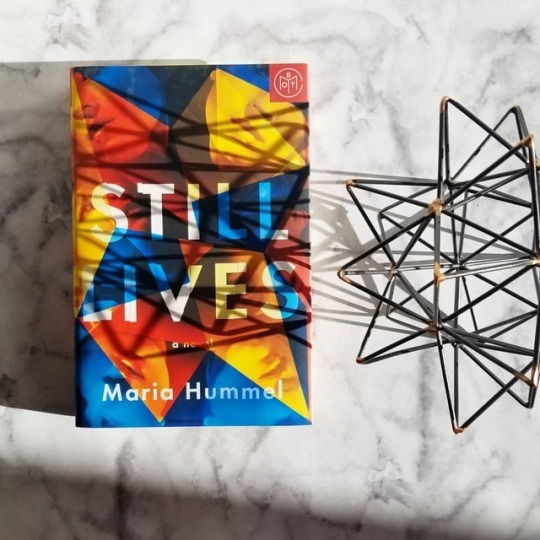 The protagonist is seeking to solve a 23 year old disappearance and she suspects her own father; that should surely come with an interesting set of challenges. Unfortunately, the novel fell really flat for me, and I think a lot of my issues with it can be summed up by saying that it simply did not have believable character motivations in a lot of different plot points. For starters: the romance. Sloane’s high school boyfriend, Micah, and her best friend, Paige, married after Sloane skipped town at 18. When Sloan returns to her hometown early in this story, their marriage has fallen apart because (obviously) no one could ever hold a candle to Sloan (groan) and Micah is still hung up on his high school girlfriend when he’s pushing 30. I truly hope it’s self evident to anyone over the age of 22 why this just makes me cringe. It’s not romantic, it’s obsessive and weird. The only thing that throws this into the “romance” category rather than “stalker” category is the fact that it’s somehow miraculously reciprocated. Your high school sweetheart being The One can be a cute angle; less so when your high school sweetheart is still pining after you after 10 years of no contact. Strike two: big, bad daddy. 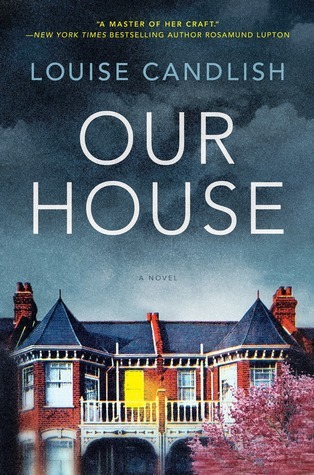 As is clear from the blurb, Sloane returns home in large part to confirm her suspicions that her father was responsible for her mother’s disappearance. From the sound of things, it appears that most of the people in town agree with that sentiment; they’re all just too terrified of him to do anything about it. What can they possibly do to stand up to this intimidating, powerful… small town mayor? Yes, he has money and connections, but surely I’m not the only one who had trouble buying that an entire town would suspect him of murdering his own wife and yet be cowed by his seemingly unlimited power as… mayor. Sloane’s brother, Randy, stands by their father to a frankly confusing degree, seemingly for no other reason than to provide a contrast to Sloane and throw one more obstacle at her. We are shown over and over just how horrific of a person their father is, in regards to his parenting, his treatment of women, and his willingness to manipulate everyone around him for his own gain. And yet Randy is his most steadfast supporter, despite being older than Sloane and presumably more aware of the abuse their mother suffered at his hands before her disappearance. Finally, the writing style as a whole fell really flat for me. The dialog often felt clunky and unnatural, and the descriptions were sometimes unintentionally funny when they were meant to be building tension. One such example is this: “He hurried through the dining room to the kitchen and saw a large knife lying on the floor. That caused him to gulp, but it was nothing compared to finding the blood on the carpet…” The phrase “that caused him to gulp” was so awkward and cartoonish and that it made me burst out laughing in the middle of the climax of a thriller. I’m going to have to go out on a limb and say that’s probably not what the author was going for with that line. Overall, this was just a disappointment for me. It had such great potential as a concept, but the plot felt incredibly flimsy, the characters consistently lacked believable motivations, and the writing was really unpolished. Novak has a good deal of novels under her belt, but this felt like a first attempt. Thank you for reading! Have you read any of Novak’s work? Please share your thoughts in the comments! I received a free copy of this book through a GoodReads giveaway. All opinions are my own and are not influenced by the publisher. Her Pretty Face is loosely based on events surrounding real-life serial killers Paul Bernardo and Karla Homolka. Amber Kunik (the character loosely based on Karla) pushes the blame for her role in a murder solely onto her boyfriend and partner in crime, Shane Nelson. After she obtains a plea deal based on her testimony, video evidence later shows her to be a much more willing participant in the torture and slaughter than she had claimed. Amber walks free after an unjustifiably short prison sentence. The major part of the novel takes place years later, and Amber has taken on a new identity and gone into hiding. While it is obvious from the importance placed on the Amber Kunik case within the narrative that we will see Amber again, we are not told anything about her new identity. The biggest strength in this novel lies in its characters. The central POV character is Frances, somewhat of a misfit mom and painfully insecure around the other mothers at her son’s school. Her son has emotional issues and has been ostracized by the other children as a result of his acting out. Frances, in turn, has been ostracized by the other moms. When Kate comes to her defense in front of the other moms, Frances latches onto her in a borderline unhealthy friendship. Frances is lonely and guilt-riddled by events in her past; while her constant insecurity was occasionally grating, I truly felt for Frances and she made for a good protagonist. We also get to peek into the mind of Daisy, Kate’s teenage daughter. I understand why these chapters were included, as they relayed information crucial to the plot and foreshadowed upcoming twists. That being said, Daisy’s chapters were sometimes difficult for me to stomach. Daisy is bullied quite relentlessly by some of the other students, but can’t be bothered to defend herself because she’s to above it all. Daisy is too cool for their petty, childish high school drama, because Daisy is very Mature for Her Age and Not Like Other Girls. I do think she improves as a character later in the book, but good lord did I have some eye-rolling moment with Daisy. Finally, there’s DJ, the younger brother of Amber Kunik’s murder victim, Courtney. DJ’s chapters are told in flashbacks to the 1990’s, when Courtney first went missing and the subsequent murder trials for Amber and Shane. DJ is around ten years old when his life is thrown into disarray by the death of his sister. He develops and obsession with Amber Kunik due to her lack of remorse and ability to fool everyone around her into viewing her as a victim. The problem with this novel comes with the plot twists. There are two instances where Harding’s attempts at misdirection are really poorly executed. You can’t spend several chapters hinting relentlessly at something without the average mystery reader picking up on the fact that they need to look elsewhere. Harding’s giant neon arrows pointing at red herrings only had the effect of eliminating them as actual suspects. Had the clues pointing at these people been a bit more subtle, I’d have actually been more inclined to be misled. Her Pretty Face is a novel you can absolutely enjoy if you’re not going into it hoping to be surprised. If solving the mystery before it’s actually revealed kills a book for you, this is probably not the right book for you. Thank you for reading! 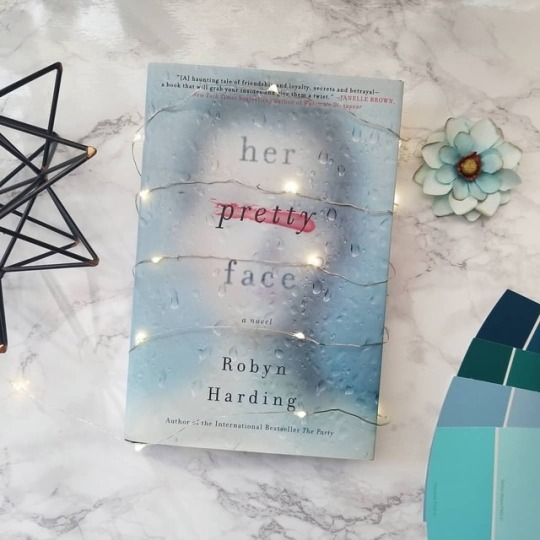 If you’ve read Her Pretty Face, please share your thoughts in the comments! Have you read any other novels based on real-life crimes? 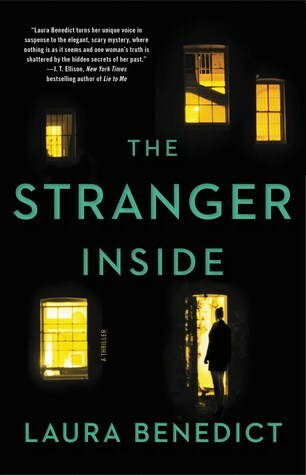 I’ve read a few seriously lackluster psychological thrillers lately that had me wondering if many this genre as a whole was just no longer doing it for me. 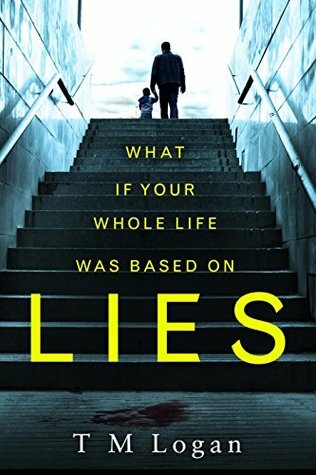 Lies was a pleasant surprise that reinvigorated my affection for these kinds of books. 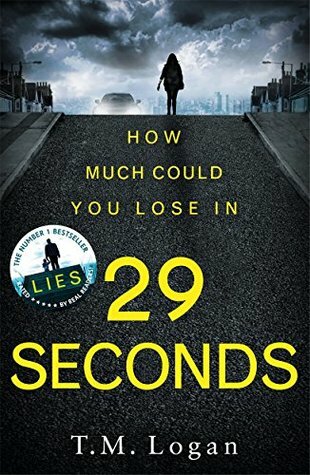 Lies is fast-paced and filled with tension from start to finish, with twists and turns to keep you turning the pages. The main drawback for this novel is that it is sometimes repetitive in that condescending way that seems to imply the author doesn’t feel the reader is capable of keeping up. For example, at one point, the protagonist listens to a voicemail from someone, and then recaps for the reader who that person is and how he first made contact with them. All of this had already been included in the narrative, and not terribly far back. These sections, however, are brief and few and far between. For the majority of the novel, it doesn’t feel like Logan has given the readers too much or too little information. The author leaves just enough breadcrumbs for the mystery to be a fun puzzle. Combined with the fast pace and the high stakes for the protagonist, it’s immensely easy to get emotionally invested in the story. Joe Lynch is in serious danger of going down for a murder he did not commit, a murder he’s not convinced has even happened at all. As the evidence piles up against him and seemingly everything that can go wrong does go wrong, he comes to the soul-sucking realization that he cannot trust anyone. If anyone is going to clear his own name, it’s him. This is a high-tension Gone Girl scenario, except the reader doesn’t have the benefit of knowing the fate of the missing person; we are kept in the dark with the protagonist. Technology was heavily involved in the plot of Lies in a way that felt very natural and fun. From spyware on cell phones to forensic analysis of Facebook posts, the novel feels very modern. I’ve found that a lot of books either ignore ubiquitous technology such as social media, or force it in awkwardly. Joe uses Google like it’s his job and Facebook stalks people for clues. Twisty and dark, this is a perfect October read to get you into the Halloween spirit. One you get into it, you won’t be able to put it down. Thank you for reading! 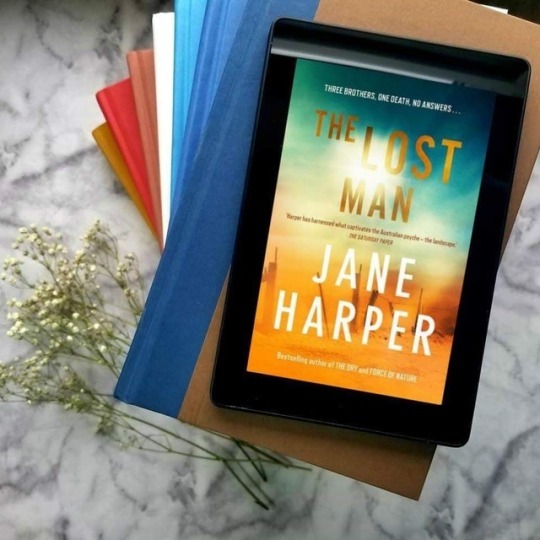 What’s the best psychological thriller you’ve read lately? Have you read Lies? Share your thoughts in the comments!